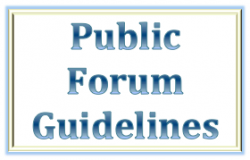 The Board of Education held their regular meeting on April 15, 2019. Click here to read the minutes. To review minutes from previous meetings, click . 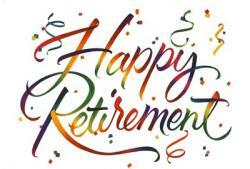 . .
USD 407 and RCNEA cordially invite you to a come-and-go retirement reception on Wednesday - May 9th from 4:00 - 6:00 p.m. at the RMS Cafeteria honoring this year's retirees. . . .
Russell Schools wishes to introduce Mr. Jordan Perez to the Simpson Elementary School staff as the 2019-2020 Principal for the building. Jordan is joining USD 407 from the Manhattan/Ogden . 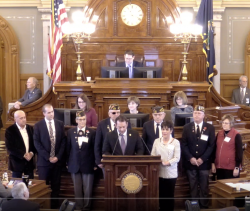 . .
Julie Bernard, 3rd Grade Teacher at Bickerdyke Elementary School, was honored on the Kansas State House Floor by Representative Troy Waymaster on March 13th as the 2018 VFW Teacher of the Year. Mr. . . . 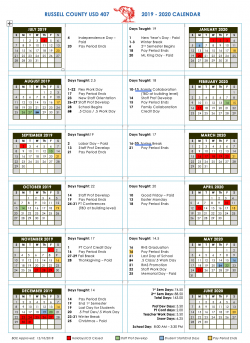 The district calendar for the 2019 – 2020 school year was approved by the board of education on December 10th. Click here for a printable copy of the . . .
Get connected today!!!! USD 407 has a mobile app and it is ready for download from the App Store and Google Play Store. 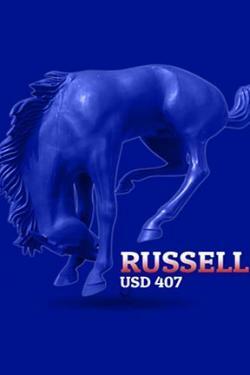 The app is listed as Russell USD 407. . . .
USD 407 has established a Twitter account to communicate with the public about events taking place within the district. 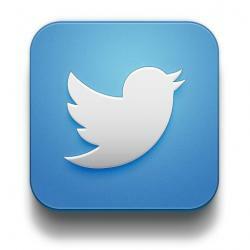 To keep informed with what is happening at USD 407, please follow us on . . .
USD 407 has established a Facebook account to communicate with the public about events taking place within the district. To keep informed with what is happening at USD 407, please follow us on . . .
-- SPEAKERS DURING PUBLIC FORUM -- The Board of Education extends an invitation to patrons to speak during the meeting under the Public Forum agenda item. The following guidelines will be used to . 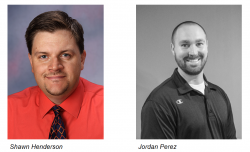 . .
SwiftK12 allows USD 407 to send voice, email, social media and text alerts using real-time contact information from PowerSchool. 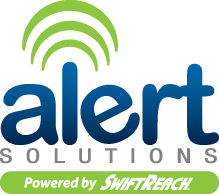 Automated attendance notifications, low lunch balance alerts, . 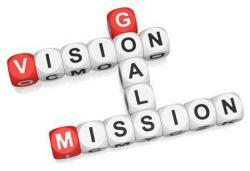 . .
USD 407 is dedicated to providing a culture of learning that will lead the state of Kansas in student success! . . .